SDPI was founded in August 1992 on the recommendation of the Pakistan National Conservation Strategy (NCS), also called Pakistan's Agenda 21. The NCS placed Pakistan's socio-economic development within the context of a national environmental plan. This highly acclaimed document, approved by the Federal Cabinet in March 1992, outlined the need for an independent non-profit organization to serve as a source of expertise for policy analysis and development, policy intervention, and policy and program advisory services. SDPI is registered under the Societies Registration Act, XXI of 1860. SDPI defines sustainable development as the enhancement of peace, social justice and well-being within and across generations. SDPI produces knowledge that can enhance the capacity of government to make informed policy decisions and to engage civil society on issues of public interest. The Institute acts as both a generator of original research on sustainable development issues and as an information resource for concerned individuals and institutions. SDPIâ€™s function is thus two-fold: an advisory role fulfilled through research, policy advice and advocacy; and an enabling role realised through providing other individuals and organizations with resource materials and training. Pakistan today seems to be embroiled in a number of conflicts that have both domestic as well as international dimensions. Conflicts of course vary, ranging from household disputes to increasing crime resulting from disparities. However, at an aggregated level, conflicts have a societal connotation that reflects deep-rooted divisions within a society. On a macro-level, these conflicts suppress a country’s potential and inhibit future prosperity. Hence, investor confidence has declined in Pakistan as have market opportunities. The poor law and order situation in Karachi over the last few years, for example, has significantly affected the income of daily wage earners, while investors have taken a back seat. Moreover, entrepreneurial activity becomes even more difficult to pursue for those with less capital or access to financing. With the rise in conflicts across the country coupled with a bleak economic situation, communities and businesses have suffered alike. Economic disparities often breed sustained conflicts. In this context, what is needed in Pakistan is an economic environment that engenders strategic peace. The two are complementing factors, and neglecting either can seriously undermine the effectiveness of measures taken for the other. This research study, conducted by Sustainable Development Policy Institute (SDPI) in 2013, undertook an analysis of the private sector’s role in achieving sustainable peace in Pakistan. It is important to note that as far as sustainable peace is concerned, the private sector is just one of many actors. In that, Corporate Social Responsibility (CSR) initiatives by businesses can certainly play an important role. Their main contribution, however, can be to influence public policy in favor of strategic peace across the country. While approaches such as dispute resolution (formal and informal) and CSR are important in terms of conflict mitigation, long-term peace is contingent upon a just and equitable system of economic governance. Pakistan today seems to be embroiled in a number of conflicts that have both domestic as well as international dimensions. Conflicts, of course, vary, ranging from disputes within households to increasing crime as a result of macro-level disparities. However, at an aggregated level, conflicts reflect deep-rooted divisions within a society. Seen through a macro lens, these conflicts undermine the realization of a country’s potential and inhibit future prosperity. Hence, investor confidence has declined in the country; so have market opportunities. The poor law and order situation in Karachi over the last few years, for example, has significantly affected the income of daily wage earners, while investors have taken a back seat. Moreover, entrepreneurial activity becomes even more difficult to pursue for those with less capital or access to financing (Hasan 2008). 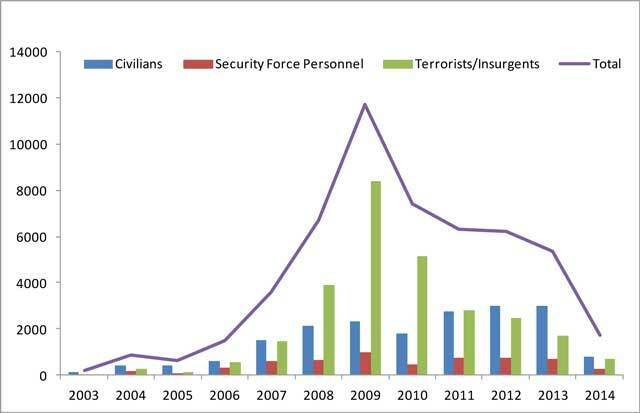 Figure 1 shows recorded fatalities in terrorist violence in Pakistan for the period 2003–2014. Fatalities in terrorist violence in Pakistan. Source: South Asia Terrorism Portal (2014). As can be seen, with the exception of 2010, civilian fatalities due to terrorism have been consistently rising over the last decade. This period has also been marked by suppressed levels of real GDP growth in Pakistan. A research study conducted by Sustainable Development Policy Institute (SDPI) in 2013 undertook an analysis of the private sector’s role in achieving sustainable peace in Pakistan. It is important to note that as far as sustainable peace is concerned, the private sector is just one of many actors (SDPI 2012).Corporate Social Responsibility’s (CSR) main contribution can be to influence public policy in favor of strategic peace across the country. While approaches such as dispute resolution (formal and informal) and CSR are important in terms of conflict mitigation, long-term peace would actually entail a just and equitable system of economic governance. In this policy paper, we discuss gaps in the literature, followed by the methodology used in the aforementioned research. Finally, we present some of the key findings from the study and highlight recommendations for the government, private sector and the civil society in the context of promoting an environment conducive to peace in Pakistan. A literature review for this study identified three main areas. These included CSR (CIPE et al. 2010), businesses and conflict mitigation (Zandvliet 2005), and the economic rationale behind conflicts (Collier 1999). However, one finds that there is dearth of literature that comprehensively covers all three of these areas in the context of Pakistan. The nature of conflict is very different in the context of Pakistan, and conflicts can be looked at with varying perspectives. However, there are few studies, if any, that look at the macroeconomic landscape of conflict in Pakistan specifically in terms of the private sector. We therefore focus on how conflicts may actually arise from economic pursuits, and how influence flows across different actors facilitating these pursuits. We also see how the private sector in Pakistan can play a more positive role in converting the macroeconomic landscape of conflict into one of peace. Specifically, we also explore how CSR initiatives and responsible business practices can be a source of peacebuilding in the country. Our research focused on two main themes: perceptions of businesses as “agents of peace” versus economic drivers of conflict. We employed a mix of qualitative and quantitative research tools. A household-level perception survey was conducted and was complimented with detailed context and network analyses. The household-level survey covered 800 households across Balochistan, Khyber Pakhtunkhwa, Punjab and Sindh. Districts in the sample included Quetta (100), Peshawar (100), Faisalabad (200), Multan (100), Sukkur (100), and Karachi (200). We chose these districts partly because they are major commercial centers in their respective provinces. In order to have a broader perspective, it was also important to maintain an urban/rural balance, since perceptions can considerably vary across the two settings. Household selection was random and did not specifically target any groups, such as women or minorities (or even differentiation by income). The sample covered four provinces. Table 1 shows the structure of the sample. The context analysis involved detailed key informant interviews (KIIs) and focus group discussions (FGDs) with a cross-section of communities, businesses and government officials. Three FGDs were conducted (one in Islamabad and the other in Karachi), while interviews were held with 11 key informants. A national level consultative meeting was also conducted in Islamabad. Our FGDs along with key informant interviews allowed us to build network maps reflecting the flow of influences across different actors in terms of business and conflict in Pakistan. Businesses may not be directly contributing to conflicts, but the continuity of their operations may sometimes necessitate actions that eventually lead to conflict. For example, large businesses may not hire local labor because the latter are not qualified. Lack of employment opportunities for local communities, in turn, can divert many to criminal or illegal activities such as illicit trade. The network analysis provides a better understanding of conflict at a macro-level. It shows the imbalances in influence among different actors, and how these imbalances prevent sustainable peace. Conversely, the network analysis can help identify areas that need reform so as to achieve a stable macroeconomic environment that is conducive to strategic peace within the country. Since our analysis is aggregated, we follow the Whole Network approach. We use Key Informant Interviews (KIIs) and Focused Group Discussions (FGDs) to collect data for our analysis. Qualitative methods for data collection such as these are often used by social network analysts (Marin and Wellman 2009). The network we build can be split into components, with nodes sometimes directly and at other times indirectly related to other nodes (Marin and Wellman 2009). Results from the study suggest that businesses in Pakistan need to play a more proactive role in influencing public policy for inclusive economic reforms in Pakistan. This was reiterated in all three of the consultative meetings conducted under the scope of this study. While the key informant interviews reveal that businesses do sometimes contribute—directly or indirectly—to conflict, the consultative meetings brought forward recommendations from relevant stakeholders for a peace-conducive environment whereby businesses and communities mutually benefit. The consultative meetings also brought to light a few cases where businesses, through their CSR measures, have prevented the likelihood of conflict by contributing to community development in conflict-sensitive underprivileged areas in Pakistan. 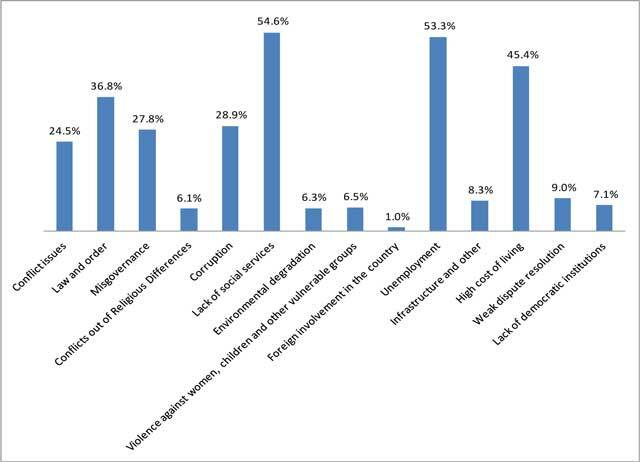 The survey reveals community awareness with regards to economic factors leading to conflicts. It also reflects how forthcoming communities can be when it comes to business involvement in local issues. Community-business partnerships can therefore play an important role in quelling local conflicts. Figure 2 shows responses to issues confronting Pakistani society. These are areas where businesses can serve communities by filling gaps in public service delivery. As Figure 2 exhibits, lack of social services, unemployment, and high cost of living rank significantly higher than other responses. While unemployment and high cost of living are issues of macroeconomic governance, businesses can contribute in social service delivery. Responses to business involvement in local area development are shown in Figure 3.
Business involvement in local area development. Most respondents agree with the notion that the private sector should be involved in local area development. This suggests that communities might not necessarily be looking up to the government alone for their needs. In fact, most households welcome private sector involvement in local area development. 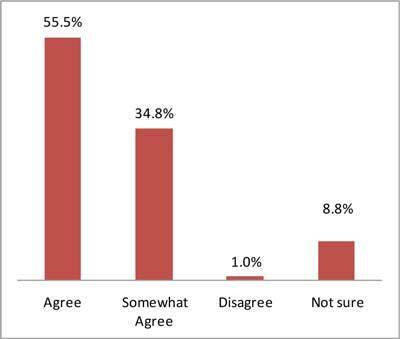 Figure 4 shows survey responses about issues where businesses can help. Issues where businesses can help. 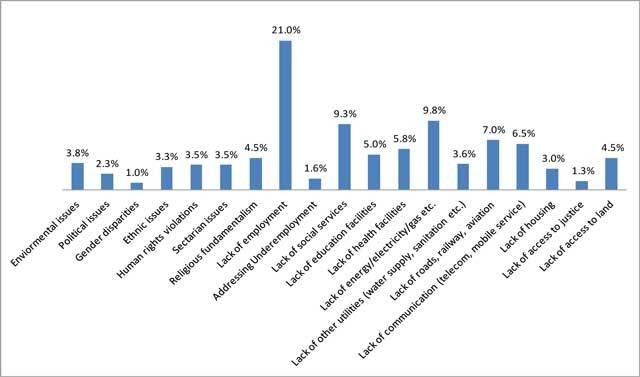 Lack of employment and lack of social services, along with lack of energy and utilities, stand out as highly cited issues where businesses can help. Note that the former two also rank high on the list of issues confronting Pakistani society (see Figure 2). This reiterates not just the role businesses can play as far as community benefit is concerned, but also the need for private sector’s involvement in influencing public policy in that regard. The key informant interviews conducted revealed that there is a very strong politico-economic context of local conflicts in Pakistan, whereby businesses partner with local influence groups to pursue activities that may have negative implications for the community at large but maximize their own profits. However, business expansion is still generally considered to be beneficial for communities, as long as it is pursued in a manner that is more inclusive of communities and does not disregard communal and environmental factors. Even the household level survey suggests the same, with a significant percentage agreeing (63 per cent ‘agree’; 24 per cent ‘somewhat agree’) with the notion that business expansion will be beneficial for their communities. The research findings provide an empirical entry-point into the discussion on peace-conducive economic governance reforms at national, provincial and regional levels, and form the basis for subsequent private sector advocacy. We list below some of the study’s key findings and recommendations. Business expansion is largely perceived as beneficial for communities, but only if pursued in a manner that is more inclusive of communities (e.g. generates local jobs) and does not disregard communal and environmental factors. Businesses need to go beyond philanthropy and charity in their CSR initiatives. While charity fulfils a moral obligation, it is no substitute for businesses playing a more proactive role in addressing community issues. Small-scale businesses are closer to communities and can play an important role in resolving local conflicts in partnership with the government. Tax evasion is a business malpractice that hurts the economy and depletes funds available for social service delivery for communities. The government needs to restore the trust of the private sector in order to boost the currently low tax-to-GDP ratio in Pakistan. Rising levels of inequality in Pakistani society may contribute to future conflicts. Corporations should mainstream youth and women from underprivileged areas into their workforce by providing for their education and training needs. Businesses should invest in skill development programmes for a younger generation rapidly reaching working age in Pakistan. Businesses should also work on building the capacity of local communities so that they can benefit from the employment opportunities that businesses create. Lack of employment and essential services coupled with a supply-side crisis in energy sector stand out as highly cited issues where businesses can help. This reiterates not just the role that businesses can play as far as benefit to communities is concerned, but also the need for private sector’s involvement in influencing public policy in this area. Businesses need to interact more with local communities. This would ensure that businesses’ involvement at the community level actually strengthens communities, instead of concentrating influence with rent-seekers and those who hold power at the local level. This would require a more strategic approach to CSR. Hence, community engagement should be incorporated within the business model. There is also a lack of shared vision with in the business community, which prevents optimal interaction with public sector and society. The inequality of scale and size has resulted in the elite business community forming their own associations and often not participating in the meetings of the Chamber of Commerce. There is an opportunity for the private sector to promote the informal innovations segment. While the public sector is mainly responsible for fostering the formal innovations that contribute to economic growth, it is often the informal and social innovations that have a more positive impact on the poor. Social service delivery may not necessarily be a solo flight on part of the government. Businesses have the resources to fund social service projects. Government can partner with private sector actors to deliver social services for communities. Such partnerships can also help increase efficiency of these projects and can be beneficial for companies in terms of generating goodwill. There should be a legal provision requiring that a certain percentage of business profits to be invested for community welfare. This percentage can vary with the scale and local supply-chain footprint of each business operating in any area. This can ensure better sharing of profits generated by local resources. It is important that conflict resolution is undertaken with a participatory approach, whereby all stakeholders are not only evenly represented but also have properly defined roles. Without such a participatory approach, there may be confusion over responsibilities, and conflicts are likely to remain unresolved. Labor laws should be strengthened and properly implemented, e.g. the tri-partite mechanism of the International Labor Organization. Proper implementation of the tri-partite labor policy down to the district level can help prevent conflicts between labor unions and businesses. The Employers Federation of Pakistan (EFP) has established Skill Development Councils (SDC) across the country without any support from the public sector. The SDC has now outnumbered all training institutes in terms of trained personnel. Moreover, the EFP has also formed employers’ bilateral councils as a measure for Alternate Dispute Resolution. There are examples in Pakistan whereby businesses have established low-cost business models for delivering alternate energy and clean water to communities. The scalability of such initiatives should be explored with a view to replication. Environmental protection should be on the agenda of businesses and government alike. The local civil society organizations should play a role in demanding respect for natural resources. Local administrations’ market-distorting powers also need to be checked in the interests of consumers. The price-setting and -monitoring powers entrusted with the local administration distort production and consumption preferences, leading to inflated rent prices. Ensuring competition through strong regulatory oversight can help formalize those in the informal sector. This would also entail enhancement of outreach, particularly for rural communities, and would make underprivileged communities and groups active players in the economy. There is a strong need for social entrepreneurship opportunities that empower communities at the grassroots level. Entrepreneurship opportunities also represent a diversion from undesirable activities that perpetuate conflicts. The influence of regulatory bodies needs to be enhanced. While regulations are important in maintaining favorable market structures that are equally inclusive, it is also important that regulatory bodies have the necessary capacity and influence to ensure due diligence on part of market players. Regulators also need to keep a strict check on business malpractices at the same time as they promote a competitive business environment. While speaking of the role of regulators, one should not forget the heavy footprint of government in every productive sector which is stifling private sector’s competitiveness. For example, having public sector autonomous and semi-autonomous enterprises compete with the private sector (in construction, transport, retail, banking and several other large sectors) implies that government will limit the space available for more efficient entrepreneurship and innovation in various sectors. It is also important to carry out a detailed appraisal of the current regulatory burden on business operations. There are arcane regulatory processes that result in harassment of genuine entrepreneurs in turn forcing them to keep their operations limited to the informal economy. The transition of such businesses from informal economy into formal economy will require repositioning of regulatory bodies as facilitators rather than monitors. While all regulatory bodies now require a strong appraisal, we did notice that the Competition Commission of Pakistan has, at the macro-level, tried to check negative practices and some private sector entities were fined. However micro-level practices often go unchecked. There is a strong need to build local-level partnerships between peace-promoting groups. The work of Aga Khan Rural Support Program in Gilgit-Baltistan region is one such example that can be replicated elsewhere. The local civil society organizations should play a role in demanding respect for natural resources. Community-business cooperation needs to be enhanced. While elected representatives are usually popular in their electoral constituencies, communities often have to seek the support of civil society to make their voices heard. The local level civil society organizations should be trained in social accountability models so that they can partner with the business community in demanding public policy reforms. Dispute resolution mechanisms need to be strengthened. The judicial system in Pakistan has grown so overstretched that even businesses are now actively engaged in Alternative Dispute Resolution mechanisms. The traditional institutions of Jirga and Pinchayats need capacity building in order to become more inclusive (in terms of women and minority participation). This role of providing capacity can be better performed by local civil society organizations and local business interests (who face lengthy litigation on frequent basis). The authors are at the Sustainable Development Policy Institute, Pakistan (SDPI). They acknowledge the financial support from European Union and International Alert, London. CIPE RBI ACCA (2010). Responsible Business Guide: A Toolkit for Winning Companies. Pakistan: Responsible Business Initiative. Hasan, A (2008). The Vulnerability of Karachi. Available at: http://arifhasan.org/articles/the-vulnerability-of-karachi. SDPI (2012). Business for Peace: Assessing the Role of the Private Sector in Mitigating Conflicts in Pakistan. Islamabad: Sustainable Development Policy Institute. Zandvliet, L (2005). Opportunities for synergy: Conflict transformation and the corporate agenda. Bergh of Conflict Research, Available at: http://www.berghofhandbook.net/documents/publications/zandvliet_handbook.pdf.